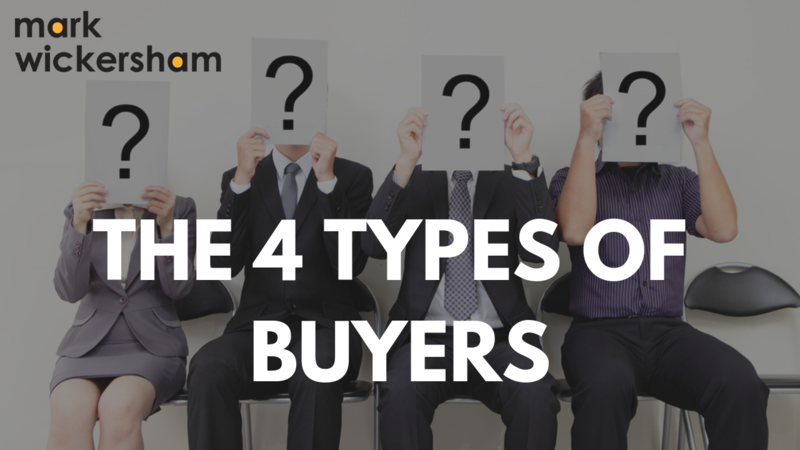 I’m going to share with you the 4 types of buyers. 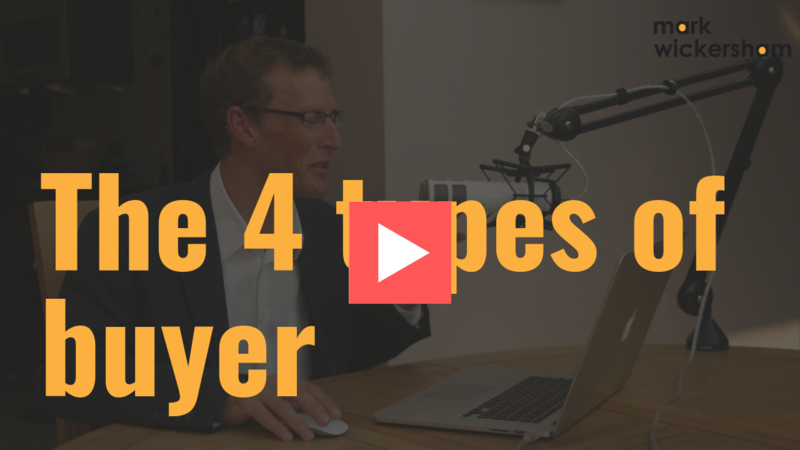 Once you understand their characteristics it will help you with your pricing. If you want the full details, you can watch the video here. The price buyer is the person that shops based on price. Price is the most important thing they are looking for. Thankfully, research shows there aren’t many of these types of buyers in society. It’s typically estimated this group make 15-20% of buyers. These people aren’t entrepreneurs, they aren’t high net worth individuals. They’re not the sort of people you might have in your client base. The value buyer buys based on value. Price is still important, but the value of what they get is of even more importance. When we think about the value equation, it’s essentially made up of the benefits someone gets when they buy minus the cost or price. A value buyer is looking to maximise that gap. It doesn’t really matter so much what the price is as long as the value - or their perception of value - is much greater. That’s most people. That’s your clients. If they were price buyers, they’d be buying cheaper alternatives. This buyer values the relationship the most. This is great in our profession because we are in the relationship business. We are selling an ongoing, recurring service. We build up relationships with our clients and so the relationship buyer will be our best clients. They are the people who really value you. They enjoy spending time with you and coming in for meetings. They value your help. These are the buyers that will pay you a premium price because they truly value what you do. These buyers are the most annoying types of buyers you can get. These are the buyers that seem to be a price buyer, but they are actually a value or relationship buyer. The customer’s ‘job’ is to get the best possible price. Customers will always talk about price. They want the best deal. That doesn’t mean they are a price buyer though. I bought a car a few years ago, and when I bought the car, I knew exactly what I wanted. I was very specific. I had one in mind, but when I shopped around on the internet, I found two different car dealers had exactly the same car, the one I wanted. I decided to email them both. I ended up getting them to compete with each other. I saved over £10,000 on the price of that car because we went backwards and forwards with emails. I wasn’t a price buyer. I would have paid full price, but they let me play that game. They let me compete with them and keep reducing the price bit by bit. If you need more help on this subject, I run a free monthly online training session. I will teach you all about different areas of pricing and then take questions, so feel free to join if you want to really start learning about value pricing. You can click here to register and I'll send you an invitation to the next session. If you would like anymore help from me, you can click here to join my Facebook Group where you can ask me questions. Wishing you every success on your pricing journey. Take your first step on "Your Pricing Journey"
Your Pricing Journey gives you access to my pricing training delivered every month in easy to digest, and easy to implement, steps. So if you sometimes find yourself working too hard, for too little money, this programme will solve that problem. The fastest way to change your profits is to get better at pricing. Every month I run a free online training session - register your free place on the training now.